My wife’s Ouma and Oupa lived in Stilbaai for over 25 years. Come Christmas (Kersfees in Afrikaans), their house becomes the holiday home for visiting family from around the country. This would be my first Christmas with my South African family, my second in South Africa. 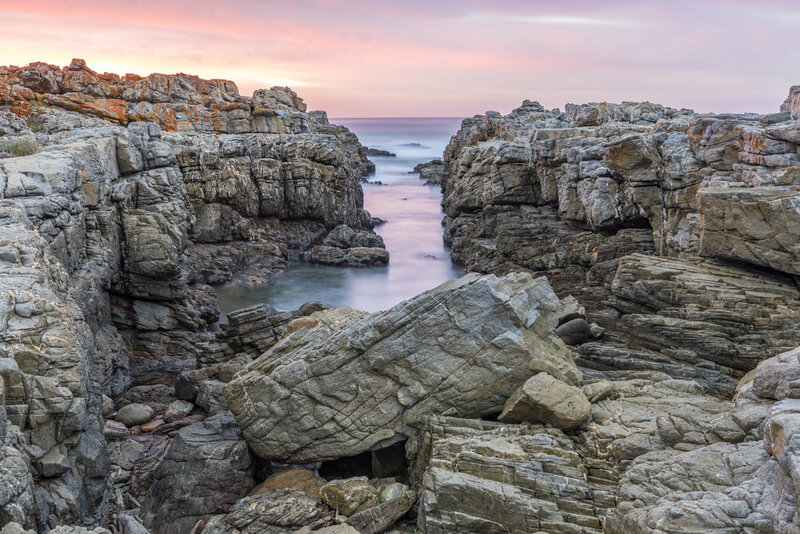 Each year, members of the family (typically the cousins) pick one morning of their holiday to rise early and walk to the neighbouring town of Jongensfontein, about 10 km down the coast. This year, I was able to join. …at 4:30 a.m. a few days later. Guided by headlamp, I made my way along the coast. It was dark and raining lightly. I had about a 45-minute walk ahead of me to get where I had seen these beautiful rock walls jetting out into the ocean. I trudged along, most of the time only looking a few metres ahead to where my headlamp shined. Rocks. Sand. Grass. Eyes. Wait a minute! Eyes?! Eyes?! And spots! And claws! It’s a LEOPARD! RUNNNN!!!! …. Okay. So it wasn’t a leopard. It was a Serval. Close enough 😊. Regardless of what it was, it ain’t found in Toronto! Needless to say, the rest of my walk was accompanied with two rather large rocks in either hand. All this for a photo. Finally I arrived at my destination. Set the tripod down. Locked in on my subject, sat down on a rock and waited for the light. But wait!!! Something just ran past my head on the ledge above! The Serval was back! I was being stalked by an African wild cat!!! Oh wait. That’s an otter.